I feel, that as bloggers we are even more susceptible to falling for Blogger's Block because our job is on the internet, we have so many avenues for procrastination which can actually be classed as "work". All too often I drag out parts of my routine to avoid writing (I'm looking at you Instagram) and now that I have Hetty the puppy I have a whole new procrastinating outlet because who would turn down playing with a puppy?! Well Hetty is currently asleep next to me (it is awfully tiring being a puppy after all) so I can get on with sharing with you how to get over Blogger's Block! You don't want to write today, well so what! Don't write- watch a tv show, make some food and then come back to writing when you are ready! Don't feel under pressure to put out a sub-standard post. You might have noticed that these past two weeks I have only managed to get out two or three posts a week instead of my usual four. Never mind not filming any YouTube videos for weeks! But to be honest who really noticed that much? I had a lot going on so I don't even feel all that guilty! If you are struggling with getting words down on the page then try setting small goals for yourself. Don't expect to whack out 12 scheduled posts including their social media when you are feeling like this. Instead look for smaller goals, whether it is brainstorming post titles or editing your photos, it'll make it far more manageable! When stuck for inspiration look back on your most popular posts and see what works for your readers. Seeing posts that are successful will inspire you to go write more of them! Maybe the reason you are feeling bleh about writing is that you are bored with the design of your blog. Maybe changing something simple about your blog design will inspire you to get on with some writing. Just yesterday I was avoiding writing some posts so I added a little watermark to my YouTube channel then I was ready to get my writing on! List posts are a little bit of an easy blog post to whack out. You just need to whack out ideas and don't need to worry about loads of grammar and building sentences. 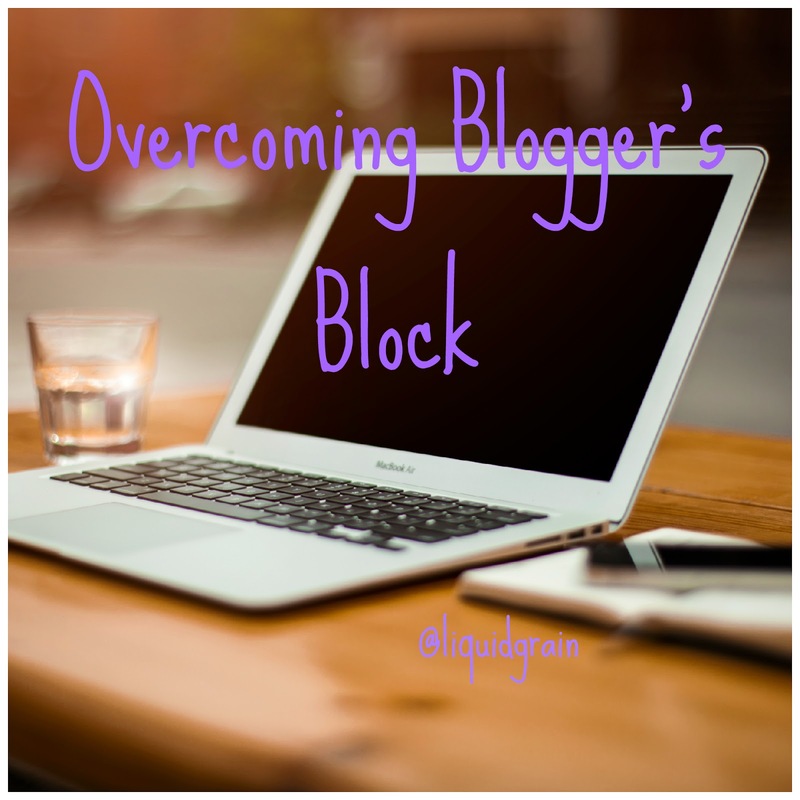 The best way to get over Blogger's Block is to write a post on how to get over it! Not only will it get you writing again but you will actually have to think up some tips to get over Blogger's Block! Do you have any tips for getting over Blogger's Block? Let me know down below! I recently struggled with blogger's block and now I feel more rejuvenated than ever! I did most of the things you listed and I think it really did help. I think the key is to write as many posts as you can while you're inspired so even if there's a couple of weeks where you aren't inspired you still have something to go up. Good to hear! Yes it's definitely good to get a few posts in the bank - I'm struggling so badly right now as I have a puppy to play with instead of work!